SNUG Newsletter | Connect. Engage. Grow. The Benefits of YOUR SNUG Membership! Different organizations have different reasons for belonging to SNUG. Some of the reasons include having Springbrook source code in escrow. If anything were to happen to the company, SNUG members would have access to the source code and could potentially join together to support the software until a viable alternative could be crafted. You can get escrow agreements directly from Springbrook, but those agreements cost $350 or more. 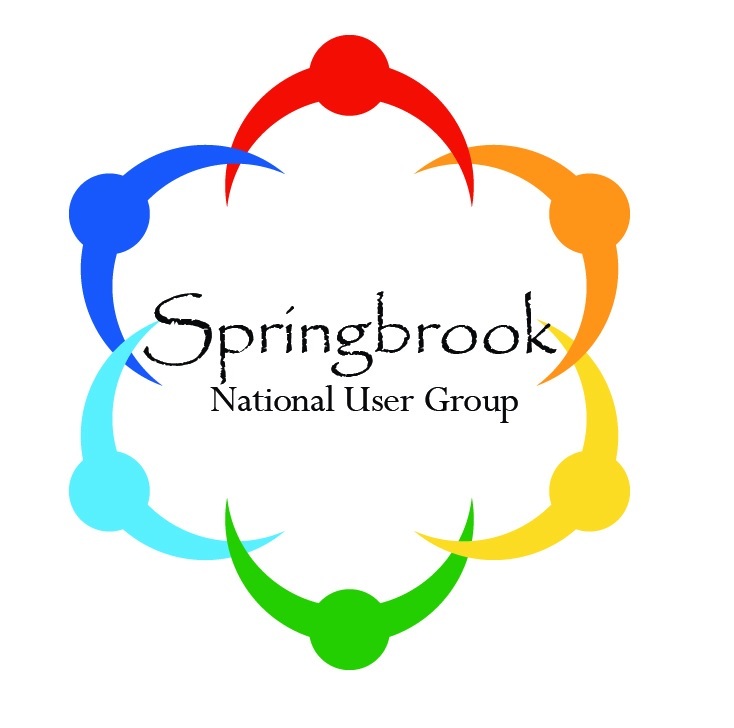 Another benefit of being a SNUG member is getting a discount on registration for the annual Springbrook User Conference. Member organizations can get a $100 discount per full registration. This can quickly add up to be worth more than the cost of joining SNUG. And don’t forget networking! Currently SNUG has a listserv to which questions and observations can be posted. The email address for the listserv is [email protected]. This is a great way to find out how other Springbrook users are handling a unique situation, or how they have been using a feature that you are just thinking about starting to use. Other topics could be more generic, such as what to watch for if you are moving from bi-monthly to monthly utility billing, or how to move from annual to biennial budgeting. SNUG is becoming more active in regional user groups. As mentioned above, board members are attending regional meetings and conference presentations are being updated and repeated at the regional meetings. There has also been some discussion regarding the feasibility of recording User Conference sessions and providing them to members. SNUG is actively working on a new website that will promote networking and provide information to all members. The plan is to also have a location on the website to store reports that can be shared amongst members. And last but not least, this newsletter. In an effort to reach out to members, this newsletter started after the last User Conference. Your SNUG board of directors wants to make this organization valuable to all members, and it realized that communication is a very important part of that value. A number of regional user groups have had meetings since the last newsletter was published. Members of the SNUG board are working to reach out to the regional groups to increase awareness of SNUG and to determine what members would like to see from SNUG. The Northwest Oregon Regional Group met on May 29th at Tualatin Hills Park and Recreation District’s Nature Park Interpretive Center in Beaverton, Oregon. Items on the agenda included a recap of the Springbrook Annual Conference, an update on SNUG, a disaster recovery presentation by Springbrook, the User Voting Portal, Oregon PERS, and allowing departments other than finance to have access to Springbrook. Board secretary Debbie Smith-Wagar attended the meeting both as a member of the regional group and representing SNUG. The Mid-Willamette Valley Regional Group met on June 5th at Oregon Cascade West Council of Governments’ headquarters in Albany, Oregon. Items on the agenda included a roundtable discussion of hot topics, a recap of the Srpingbrook Annual Conference, information sharing, an update on SNUG, a fiscal year-end refresher, and Utility Billing master accounts. Board secretary Debbie Smith-Wagar attended the meeting as a SNUG representative. She also presented the fiscal year-end refresher (Oregon municipalities are on a July 1 to June 30 fiscal year). The Western Washington Regional Group met on June 24th at West Sound Utility District’s headquarters in Port Orchard, Washington. Items on the agenda included deduct meters – who uses them?, Utility Billing account status – vacation status, Washington BARS conversions, Voter Portal, an update on SNUG, and the client services website. Board secretary Debbie Smith-Wagar attended the meeting as a SNUG representative. The Minnesota Regional Group met on July 29th at Chanhassen City Hall. About 25 people attended the meeting. Carol Almer from Springbrook provided a webinar on financial reporting, followed by a roundtable discussion on that topic. Debby Gretz and Janet Peterson from Springbrook went over what is new at Springbrook. Debby has been working with Springbrook as a consultant and an employee for ten years. Janet has been with Springbrook for about 15 years. Springbrook CEO Steve Rementeria recently asked them to provide account management services, which includes reaching out to individual clients to make sure they are getting the support they need. This is especially beneficial to new clients, but they are also a resource to existing clients who are experiencing issues. In addition to explaining their new roles with the company, the overview also included information regarding Springbrook’s acquistion of KVS Software and how that company is being integrated into Springbrook. The KVS acquisition has also allowed Springbrook to expand its support offerings on the East Coast. After Debby and Janet’s presentation, Debbie Smith-Wagar talked about SNUG and the benefits of membership, including the new web site that is under construction and reaching out to regional groups. Debbie then conducted a seminar on internal controls similar to the one she presented at the national user conference in April. After Debbie’s presentation Jamie Nawrocki from Springbrook talked about upcoming developments in Online-Bills.com and Utility Billing. Developers have pulled some of the top UB items off of user voting and are getting those into the next Springbrook release. After Jamie then Sam Henry with Springbrook conducted a web demo of Online-Bills.com. The Illinois Regional Grop met on July 31st at Shorewood City Hall. The agenda was basically the same as the Minnesota meeting, and approximately 30 people attended the meeting. SNUG May Newsletter | Connect. Engage. Grow.